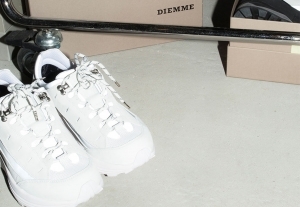 Collaborations and external production, have been a vital part of Diemme’s business since 1992. Through collaborations, we get inspired, we get challenged, and the intersection that happens between people, cultures and brands, motivates and stimulates us. Below, you will find a selection of our latest collaborations. Greg Chait of The Elder Statesman’s loyal commitment to canvas skate shoes became the starting point of the collaboration between the LA based brand and Italian Diemme. 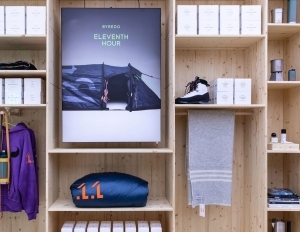 The Eleventh Hour, BYREDO’s pop-up borrows from the worlds of camping in a creative, playful set-up calling on all five senses.